Young plant lovers can watch nature at work by growing their own garden in just days with the world's most earth-happy gardening set. 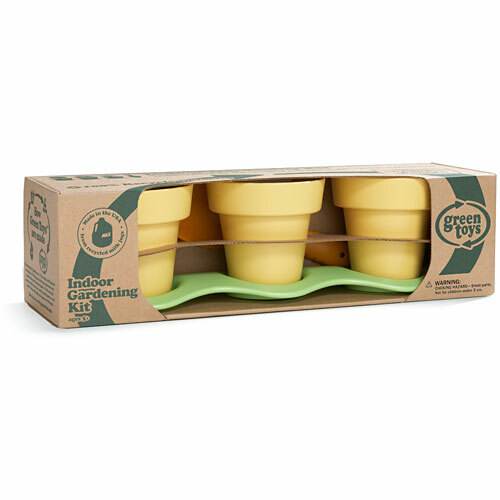 Like all Green Toys products, our Indoor Gardening Kit is made from 100 recycled plastic, helping to reduce fossil fuel use and CO2 emissions, all in the name of Good Green Fun! 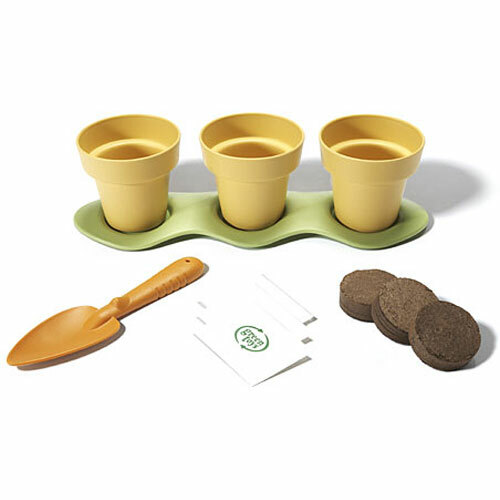 This 9-piece set includes a peapod-shaped planter tray, 3 planting pots, trowel, soil pods, and 3 different kinds of organic seeds. Dimensions: Peapod Tray 1-1/2" L. POTS: 3-3/4" H. Trowel: 9-1/4" L. WARNING: Choking HAZARD. 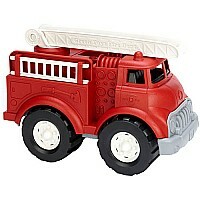 This product includes small parts. And is not for children under 3 years. 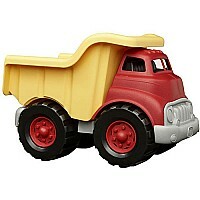 Measures approximately: 14.75 x 4.25 x 4.00 inches..